Hadiza Bala Usman was born in January 2, 1976 in Zaria, Kaduna State. She is the daughter of the historian, Yusufu Bala Usman. Hadiza Usman holds a Bachelors Degree (B.Sc.) in Business Administration which she obtained from the Ahmadu Bello University (ABU), Zaria. She later proceeded to the University of Leeds, United Kingdom where she obtained a post graduate degree in Development Studies in the year 2009. Hadiza Bala Usman started her career with a a Non-Governmental Organization known as Centre for Democratic Development and Research Training, Zaria, in June 2000 as a Research Assistant. From July 2000 to August 2004. She worked at the Bureau of Public Enterprises (BPE) as an Enterprise Officer. She also served as a Special Assistant to the minister of the Federal Capital Territory (FCT) on Project Implementation and as the Director of Strategy for the Good Governance Group. Later, Hadiza Bala Usman was appointed the Chief of Staff to the governor of Kaduna State. Upon the kidnap of Nigerian school girls at Chibok by Boko Haram in the year 2014, Hadiza Bala Usman started a protest, leading groups to protest around Nigeria and in the hometown of the kidnapped girls. She started the protest when she noticed that the Nigerian government was not given the issue the priority it deserved. 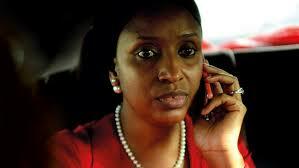 It was Bala Usman who started the campaign, #BringBackOurGirls (BBOG). She equally chose the color red for the campaign because according to her, it is a sign of alarm, danger and warning. She encouraged Nigerian women "to keep the issue in the public eye." Hadiza Bala Usman has also worked towards coordinating meetings with the parents of the kidnapped girls and members of the Nigerian government. Bala Usman has continued to protest with the BBOG campaign up to the year 2016. She has been featured in Financial Times, and at CNN for her good work with BBOG. On July 12, 2016, President Muhammadu Buhari approved the appointment of Hadiza Bala Usman as the Managing Director of Nigerian Ports Authority (NPA), she was appointed alongside three other executive directors. Hadiza Bala Usman is married and have two boys with her husband who is an economic analyst.